NEW This page provides several links for reviewing the different coordinate transformations studied in this chapter. 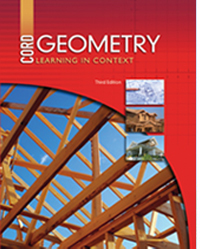 NEW This page provides a comprehensive practice test on the many geometric transformations studied in this chapter. This page contains notes and an interactive coordinate plane to let students practice reflections. NEW This page provides several links to discussions and practice for reflections about lines and points. This site contains a video tutorial with notes on translating graphs. This page contains notes and an interactive coordinate plane to let students practice translations. This site has an explanation and an interactive coordinate plane to let students practice rotations. NEW This page provides several links to discussions and practice for rotations. NEW This page provides several links to discussions and practice for compositions of transformations. NEW This page provides a comprehensive review of the coordinate transformations. This page defines tessellations and shows some examples. This site gives examples of dilations, and has practice problems for the students. This website requires Java to run some of its features. NEW This page provides several links to discussions and practice for dilations.